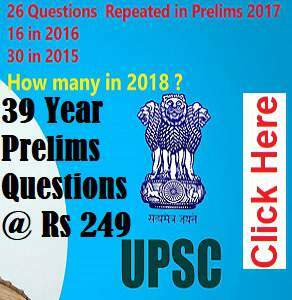 There is a Myth Among UPSC CSE Aspirants that UPSC Never Repeats Questions , Each question is prepared freshly and has a Lot Of deep meaning . into Indian politics by Lord Minto. (c) Foundation of Muslim League. agitation during the first decade of the present century ? (a) India should be granted complete independence. (b) India should be partitioned into two before granting independence. (c) India should be made a republic with the condition that she will join the Commonwealth. (d) India should be given Dominion status. facilitates the allocation of major portion of financial resources to these regions. Which of the above has/have a bearing on the biodiversity? appreciation of their developmental needs. 1. National Development Council is an organ of the Planning Commission. 2. The Economic and Social Planning is kept in the Concurrent List in the Constitution of India. 3. The Constitution of India prescribes that Panchayats should be assigned the task of preparation of plans for economic development and social justice. In the new Panchayati Raj Bill enacted in 1993, there are several fresh provisions deviating from the past. Which one of the following is not one such provisions? 3. Establishment of State Finance Commission. added to the basket of IMF’s SDR? 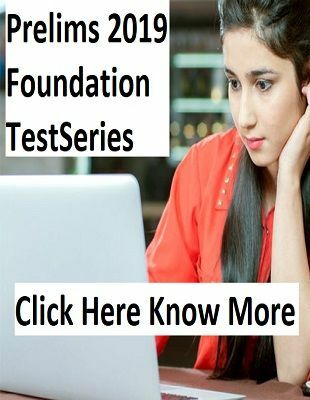 Below Questions Have been asked in Previous year papers , By Going through them The Question in 2016 could have been answered easily . Phillippines in the year 2004. (a) The carbon credit system was ratified in conjunction with the Kyoto Protocol. the increase of carbon dioxide emission. (d) Carbon credits are traded at a price fixed from time to time by the United Nations Environment Programme. Which of the following statements is/ are correct ? Question related to REDD + With reference to ‘Forest Carbon Partnership Facility’, which of the following statements is/ are correct? Degradation+)’ efforts by providing them with financial and technical assistance. The Correct Option for the below Previous year question is D [(d) Bal Gangadhar Tilak—Satya Shodhak Sabha ] Reading about satya sodhak samaj because it was asked earlier also , would have fetched you 2 marks .